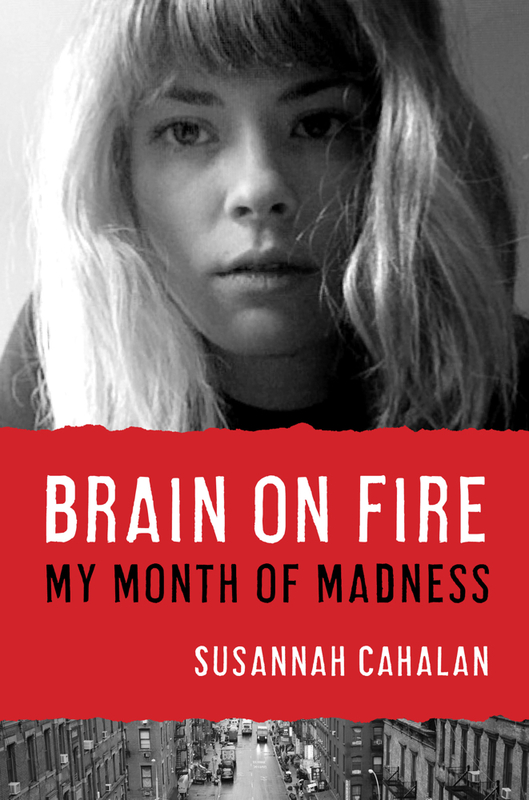 Before reading Susannah Calahan’s memoir Brain on Fire: My Month of Madness (Free Press, 2012), I never heard of anti-NMDA receptor autoimmune encephalitis. Calahan brilliantly chronicles her illness, which began as a tingling and numbness on the left side of her body soon emerged into episodes of paranoia, hypersensitivity to sound, light and cold, loss of appetite, out-of-body experiences and erratic mood swings. Signs of schizophrenia or at least schizoeffective disorder? At first glance, it was a possibility. The promising young journalist’s symptoms worsened until she was close to death, but a determined physician, celebrated neurologist Dr. Souhel Najjar joined her medical treatment team and finally gave Calahan and her loved ones a definite answer: anti-NMDA receptor autoimmune encephalitis. Brain on Fire is perhaps one of the most real-life medical mysteries I’ve read to date; there are many illnesses out there which can mimic something far more serious, as Calahan discovered during her long month into madness. This book can serve other readers – as well as medical professionals – to learn more about Calahan’s disease and life-saving treatments. Brain on Fire is also a story of determination and lesson not to take initial diagnoses at face value – subsequent opinions may not only find something far more serious, but also can be life-saving.